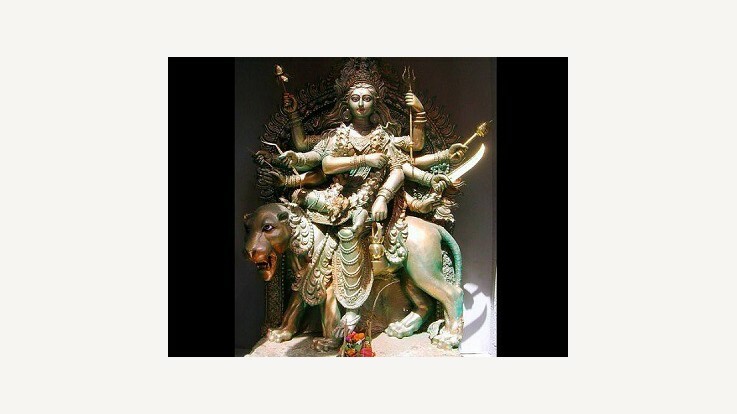 Another form of Goddess Durga is Goddess Chandraghanta. 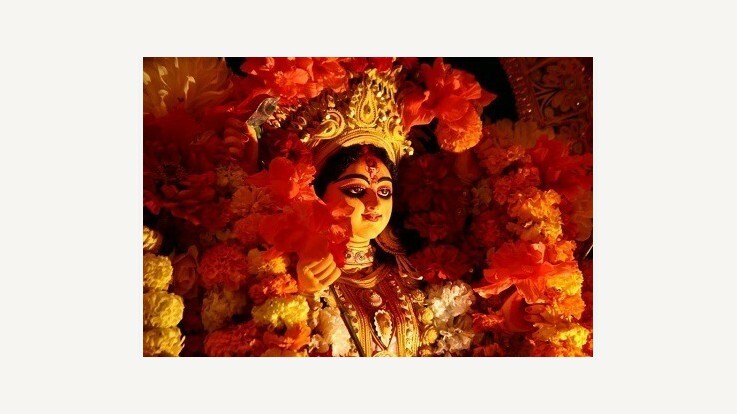 This form of the divine power is worshiped on the third of Navaratri festival. She has a Chandra or the moon in the form of a bell on her forehead and for this reason, she is addressed as the "Chandraghanta". This form of the Goddess is extremely beautiful and mesmerizing. Goddess Chandraghanta signifies peace and prosperity. The body complexion of Ma Chandraghanta glitters like gold reflecting a charming personality. She has ten hands each holding a weapon like a Sword, Arrow, the Trishul, Gada, Kamal or Lotus, Kamandal, a pot of water and so forth. One of her hand is in the blessing posture or Abhayamudra. She travels majestically on a lion signifying power and courage.  Ma Chandraghanta is said to preach bravery, possessing great strength in fighting battles. It is said that the sound of her bell frightens all the Danavas and demons and keeps away negative energy. She repels all troubles from her devotees life. Although she is an embodiment of serenity however if provoked she can be malevolent and this form is known to be the Chandi form or Chamunda Devi form. Legend:It is said that Lord Shiva gave the word to Goddess Parvati that he would never marry another woman except her. He was impressed and overwhelmed with her devotion towards him and also wanted her to her free from all her sufferings. Soon there was joy all around. Lord Shiva arrived with his marriage procession. He brings along with him in his procession Gods, Mortals, Ghosts, Goblins, Ascetics, Aghoris and Shivagans to the gates of King Himavan's palace. Since he appears to be terrorizing, Goddess Parvati's mother Mena Devi faints in fright. When Goddess Parvati sees Lord Shiva in such a form she transforms herself into Ma Chandraghanta to save her family from terror and fear. She then persuades Lord Shiva to change himself into his charming self. Lord Shiva agrees to this and changes his looks into a charming bridegroom with expensive clothes and jewels. Goddess Parvati's mother Mena Devi revives to consciousness and everybody else revive and are glad to see such a transformation. The marriage takes place happily. 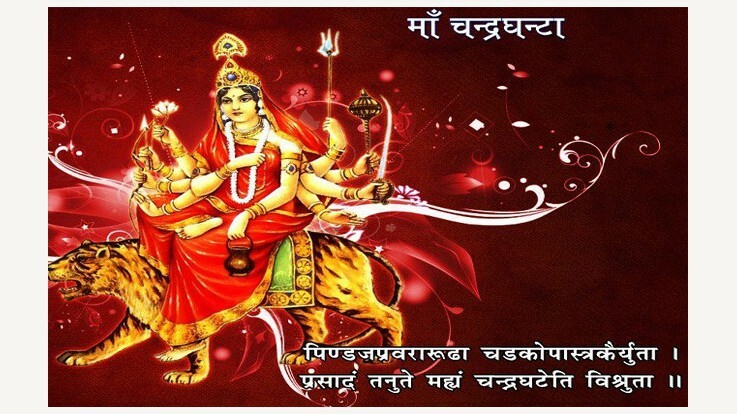 It is also believed that Goddess Durga incarnated herself as Kaushiki, the daughter of Lord Shiva and Parvati, in order to destroy demons Shumbh and Nishumbh and their hordes. The beauty of Kaushiki was to lure demons to their doom. Shumbh wanted to marry Kaushiki to his brother Nishumbh and thus sent demon Dhumralochan to bring her. When she resisted, Dhumralochan attacked her. Enraged, Parvati assumed a warrior form, seated on a tiger and defeated Dhumralochan and his entire army thus Mas Chandraghanta took form. Meaning: I join hands in front of the supreme Goddess and adore the goddess with a bell-shaped mark of the moon on her forehead and I ask for the forgiveness for all the bad deeds I have done in my life. Shantanu was a Kuru king who ruled Hastinapura.